Cycling Plus is a monthly magazine for all cycling enthusiasts since 1992 and is one of the most popular cycle magazines on the market. Buy a single issue or subscription to Cycling Plus magazine. 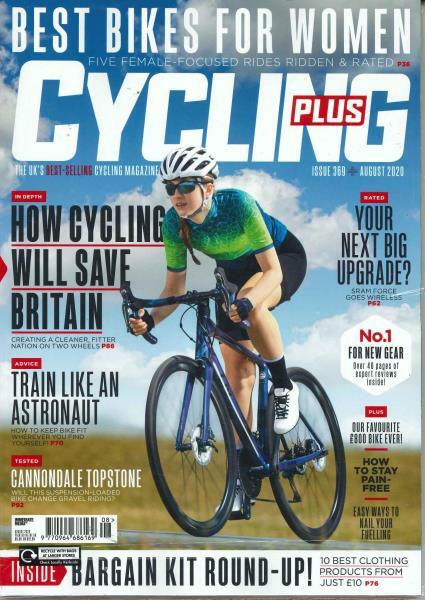 Cycling Plus comprises all the information needed for cycle devotees whether you are a professional road racer or if you are simply buying a bike, this magazine contains articles on the latest bikes, gears, routes, tracks and gadgets. Sworn by professional racers not only due to the fact it is one of the most popular magazines on cycling but the exceptional articles it features. The proficient print categorises cycle rides across the nation in a ‘Routes’ sections as ‘classic’, ‘expert’, ‘medium’, or ‘easy’ enabling you to understand whether they are appropriate for your level. The manual for the modern road cyclist, no matter your ability Cycling Plus offers everything you need for your cycling journey.